Remember when throwing a sheep at your friend was one of the most fun things to do on Facebook? Well, today the world’s largest social networking site is all grown up and celebrates its tenth year in existence. 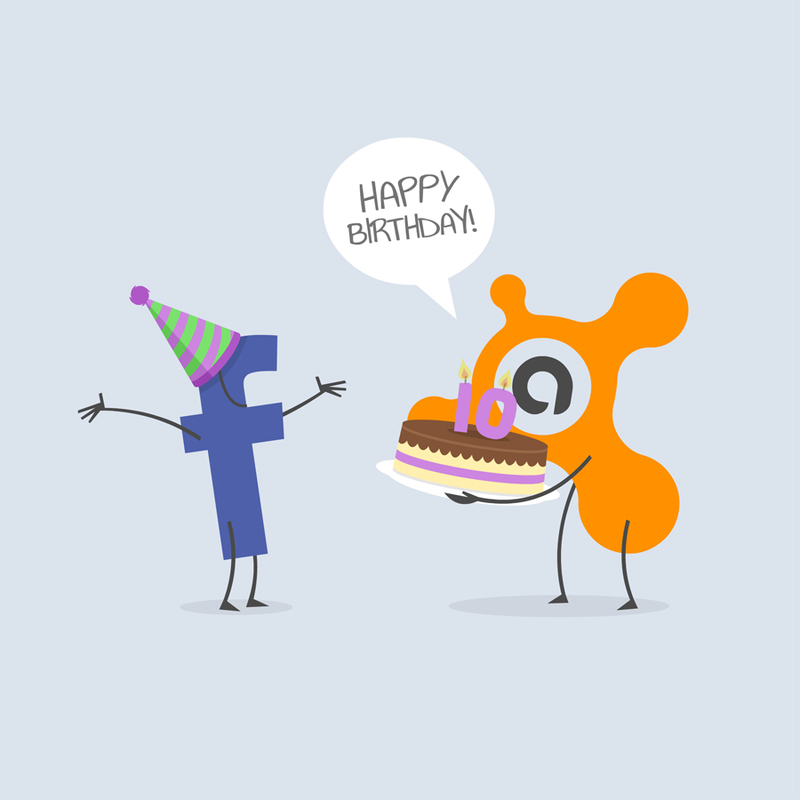 Happy Birthday, Facebook! 1. Facebook has more than 1.2 billion users worldwide. If it was a country, it would be the 3rd largest. 2. A vast majority of Facebook’s daily active users (972 million) live outside the U.S. and Canada. 3. Last year, the most popular event that Facebook users added to their Timeline was their relationship status, and if they got engaged or got married. 4. The 9th most talked about event in Facebook users lives was about a piercing they got. 5. More people were talking about Pope Francis than any other topic in 2013. 6. More than 350 million photos are uploaded each day, making Facebook the most popular photo uploading service on the web. 7. The Newsfeed was introduced in 2006, the Timeline in 2011, and Graph Search, which lets you use simple phrases like "Photos of my friends in Paris," to find people, places, photos and other info is being rolled out to mobile and international audiences. 8. Facebook says that the total volume of any government data requests of any kind, national security-related or otherwise, was a small fraction of one percent in the first half of 2013. 9. Revenue for 2013 was $7.87 billion, an increase of 55% year-over-year. 10. avast! antivirus is Facebook’s most popular antivirus page with over 3.7 million fans. Help us get to 4 million by joining us there.